Power Boost technology provides boosted water performance with the push of a button with - faster clean. faster fill. Angular-inspired shapes with soft, curved edges give the Hensley suite a renewed traditional style. Gracious and uncomplicated style features give the Hensley collection an ageless yet fashion-forward presence. Tailored yet relaxed, the Hensley collection is an exercise in design balance. This lustrous collection works seamlessly with today's lifestyles. 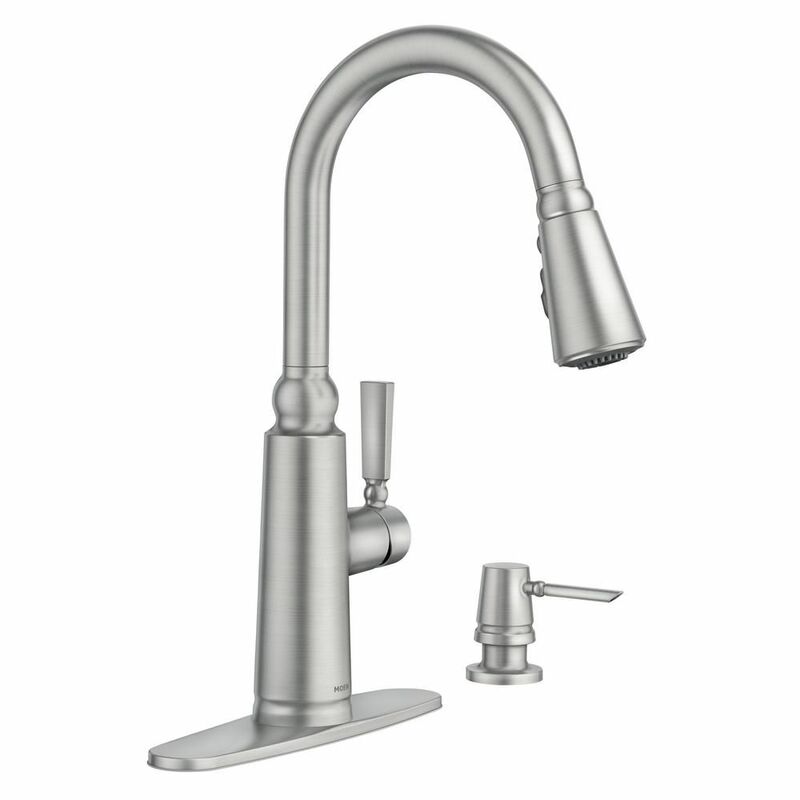 Coretta Pull-Down Kitchen Faucet With Power Boost In Spot Resist Stainless is rated 4.7 out of 5 by 58. Rated 5 out of 5 by Sue from Love it! Works great. Easy to get the right temp... Love it! Works great. Easy to get the right temp of water. Love having the power boost! Rated 2 out of 5 by Lor from The down spout does not fit tightly to the goose... The down spout does not fit tightly to the goose neck part of the faucet. I'm not pleased. I heard a lot of good things about Moen, but this ill-fitting feature upsets me. Rated 5 out of 5 by HomeDepotCustomer from Exactly as advertised.... Exactly as advertised. Rated 5 out of 5 by Laura from My previous single handle faucet was very difficult to adjust... My previous single handle faucet was very difficult to adjust to the preferred temperature. This one is a breeze!Others commented that it dripped but I have only observed 3-4 drops after turning it off, which I’m fine with. The Power Boost feature is great!